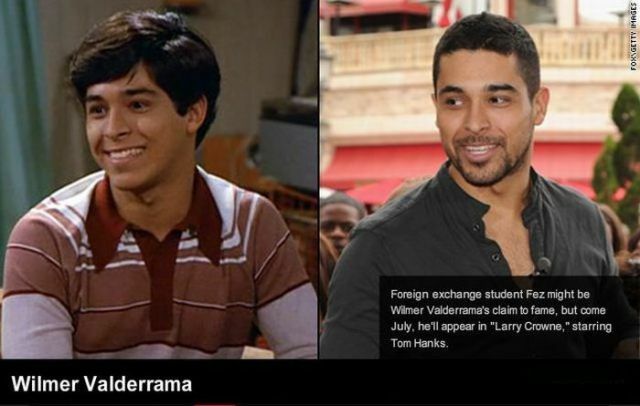 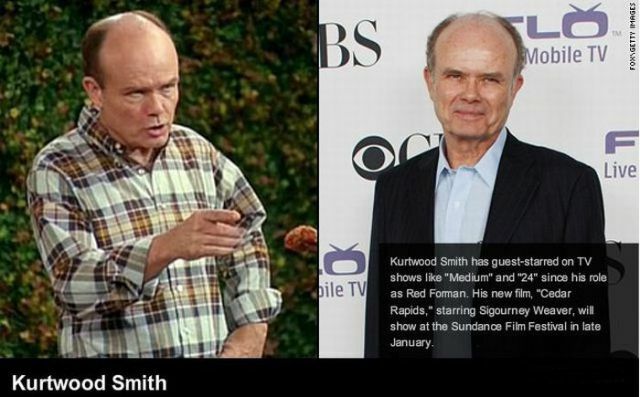 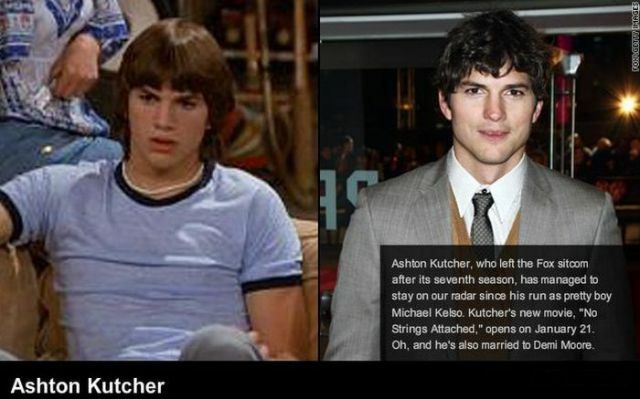 These are photos of the cast members of That 70’s Show then and now. 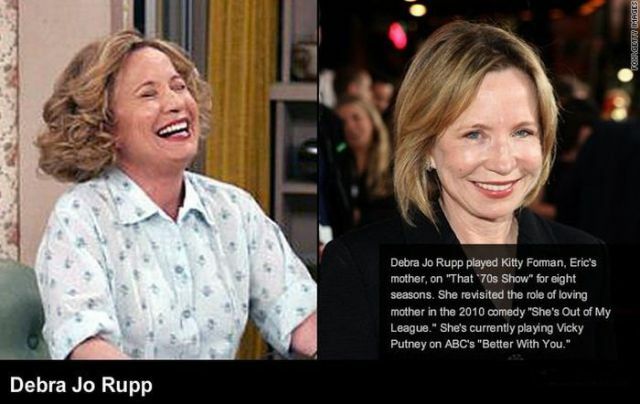 Since they are still playing reruns on the television, it seems like they should be the same. 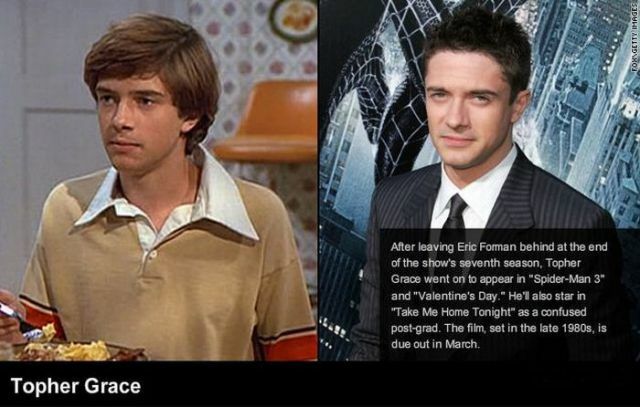 But they are not because time marches on. 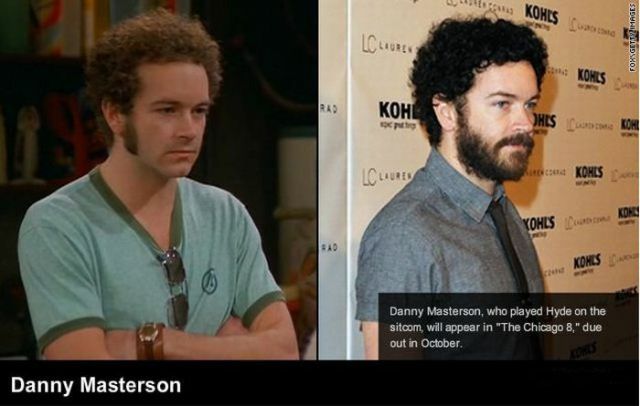 Danny Masterson looks so different now, as does Topher Grace. 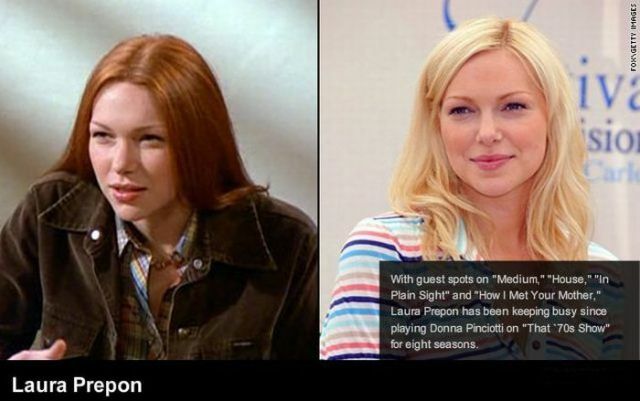 wow laura prepon she was hot as a redhead and still hot as a blonde.